We had the privilege to take Mal and Meech Melee to the NCAA Final Four game. Dudley connected us. 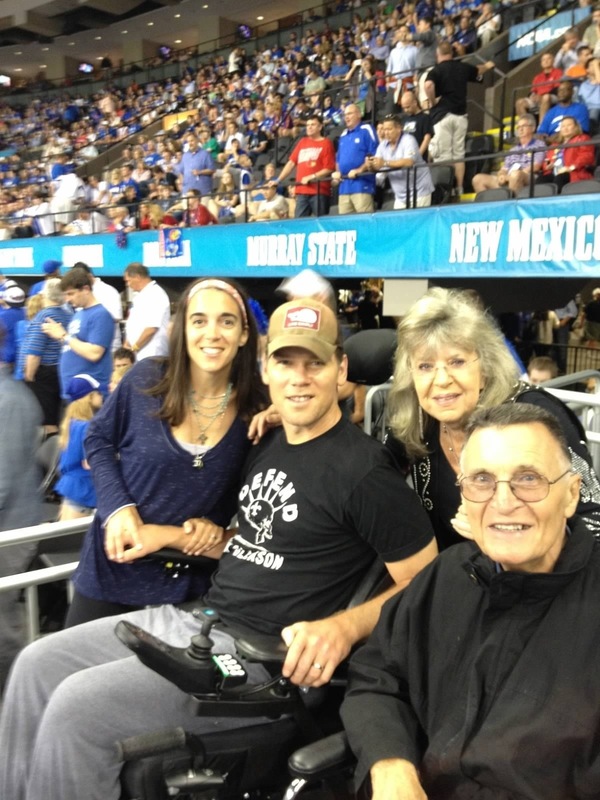 Mal was diagnosed with ALS and was a big basketball fan. We packed into the MV-1 and head to the arena. Tommy Capella met us there and treated us like kings and queens. He escorted us out of the traffic and rain to the VIP parking area. It was a Huge help. The ADA section was awesome. Spacious seating in a perfect location. We had a great time watching Kentucky beat Kansas. It was cool to watch Anthony Davis and even cooler that he’s going to be a New Orleans Hornet! We got sad news on June 6th, 2012 that Mal passed away. It broke our hearts to see how fast the disease progressed in him. When Steve and I came in town for the statue dedication, we got to see Meech again, as well their son and daughter. 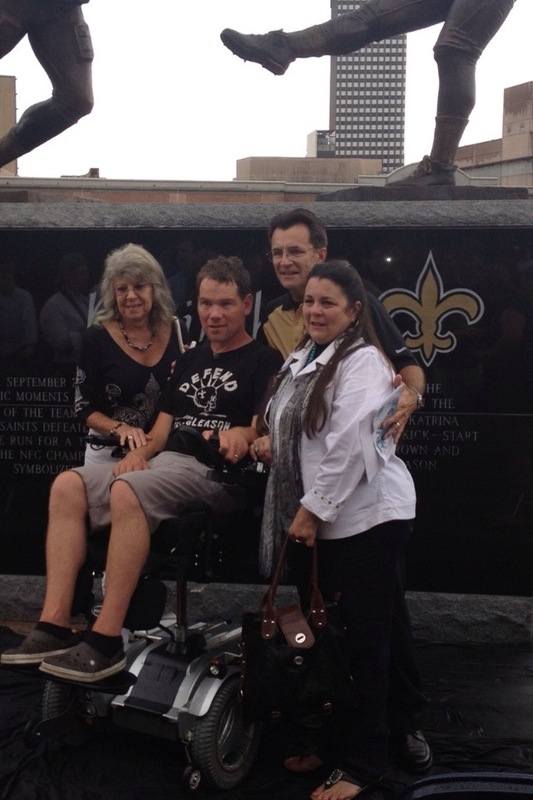 They presented us with checks for the Gleason Initiative Foundation, per Mal’s request in lieu of flowers. It was emotional spending time with the Melee family. We are very grateful for the donation and promise to help other ALS patients and raise as much awareness as we can in honor of Mal.